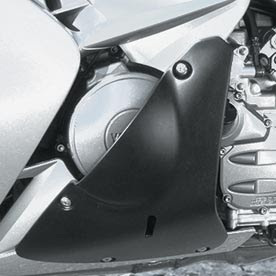 FJR1300 Foot Shields are made from black injected polypropylene and provide extra protection to the rider's feet and boots. They guard your feet from dirt, rain and the elements. Fits 2003, 2004 and 2005 model years for the FJR1300. Sold in a set of 2 foot shields - sorry we have sold out our limited quantities. Check more accessories below.